Hi! It's Jilly. 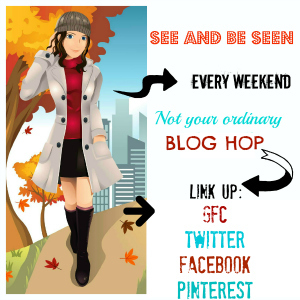 : Weekend Blog Walk- Let's Mix and Mingle! Weekend Blog Walk- Let's Mix and Mingle! Hi! It's Jilly. Welcome to the Weekend Blog Walk! Last week we had almost 200 blogs link up!! Wow!! Spread the word and see if we can get it over the 200 mark! Woot! Thanks for linking up and visiting each others' blogs. It's what makes this Walk so successful! Let's get walkin'! Interested in being a Guest-Host? There is a $10 fee to Guest Host. This small fee allows us to advertise and promote the Weekend Blog Walk, while offering you a 10 Day Ad Spot on At Home Take 2 and Facebook and Twitter shout outs. Send an email (athometake2 at gmail dot com) to reserve your spot. Be sure to put Guest Host in the subject line. Hi Jillian, I'm Anne from Life on the Funny Farm (http://annesfunnyfarm.blogspot.com). Just found your blog hop and I'm looking forward to joining up every week! Added your button and link to my blog. Looking forward to following your blog!! :) Have a great weekend! I'm your newest gfc, facebook, twitter and pinterest follower. Hope you'll get a chance to visit Posed Perfection soon. Have a great weekend! Hi Jilly! Thanks for hosting! Hi Jilly! Thanks for hosting. I am following your blog. Hi! New follower from the Blog Walk! Thanks for linking up on last week's Make My Saturday Sweet blog hop! Don't forget to link today if you haven't already. Have a great weekend! Just wanted to say hello to everyone. Thanks Jillian for hosting this blogwalk, I am a new follower on your blog. Also following on FB, & Twitter. Hi Jilly. Found your blog through the Walk. Nice to meet you! Now following and hope you follow back.